Major General Paul Nanson CBE (General Officer Commanding Army Recruiting and Initial Training Command) visited Central Selection taking place in Pokhara over the period 19th to 23rd January 2019. He was accompanied by his MA, Major Ed Withey Royal Gurkha Rifles and Colonel Brigade of Gurkhas, Colonel James Robinson CBE. General Nanson is responsible for the British Army’s recruiting and made the visit to see and better understand the demands of Gurkha recruiting. He spent time with recruiting staff and received a briefing on the Gurkha recruitment process. He also had an opportunity to see some of the education and physical assessments in progress and sit in on some interviews. 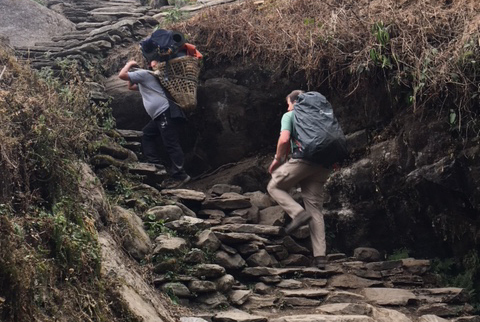 As the Army changes its physical entry requirements to Physical Employment Standards (PES) General Nanson was able to see how the Brigade of Gurkhas will adapt PES to meet its particular challenge. He also (after an 0400hrs start) completed the Doko Run in a pass time! 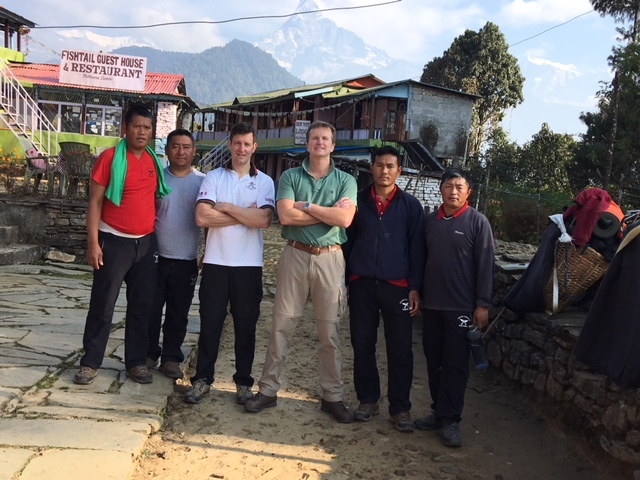 He spent time talking with the Senior Area Recruiting Officers and galla wallahs (the veterans who work as administrators) to learn how the annual Gurkha recruiting cycle operates and more about the intense competition which exists to join the Brigade. 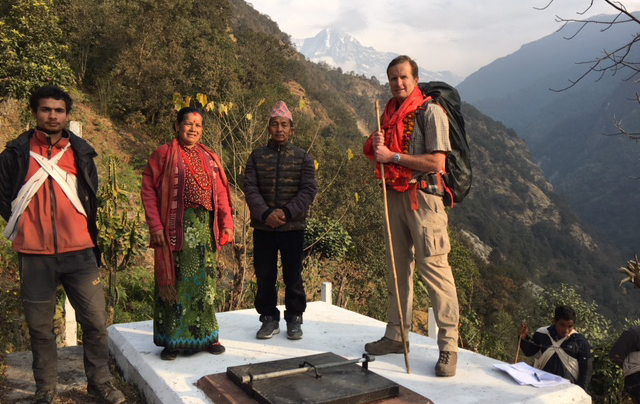 The programme allowed General Nanson to conduct a short trek in the Ghandruk region with his MA and he was delighted to come across a water project that had been paid for by funds raised during Trailwalker (the annual GWT/Oxfam fundraising event). General Nanson completed Trailwalker in 2017 and plans to run again this year. In addition he was able to visit the home of Welfare Pensioner Mrs Parbati Tiwari and spend time talking with her to see directly for himself the difference made by the Gurkha Welfare Trust to her life. The Central Selection process is now drawing to a close. 580 Potential Recruits (PRs) have been undergoing their assessments and this year places will be offered to around 400 young Nepali men in order to meet the significant growth that the Brigade is undergoing. Once selected the PRs then come under the command of Gurkha instructors from the School of Infantry who prepare them for the move to UK which happens after the Attestation Parade on 8 February where the proud parents come to see their young men in uniform before they fly to UK to start their basic training.